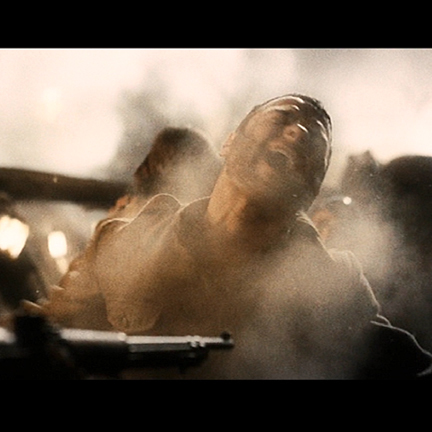 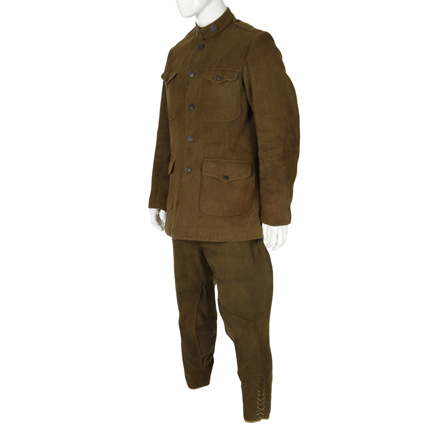 This uniform was worn by the character “Victor Creed” portrayed by actor Liev Schreiber in the 2009 film “X-Men Origins: Wolverine”, co-starring Hugh Jackman. 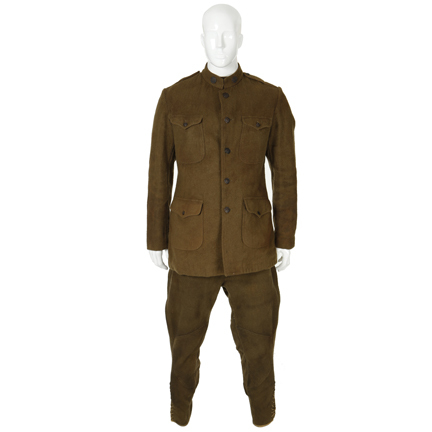 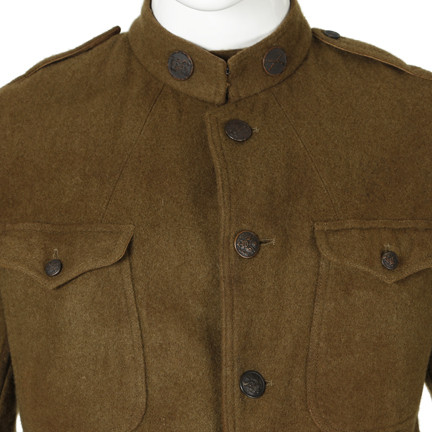 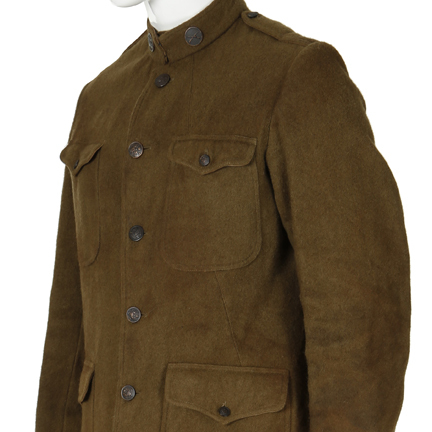 This WWI Army costume was custom made for the production and consists of OD green wool tunic with stand collar, five eagle button closure, collar insignia, pouch breat pocket, two lower envelope flap pockets and distressed with faux blood. 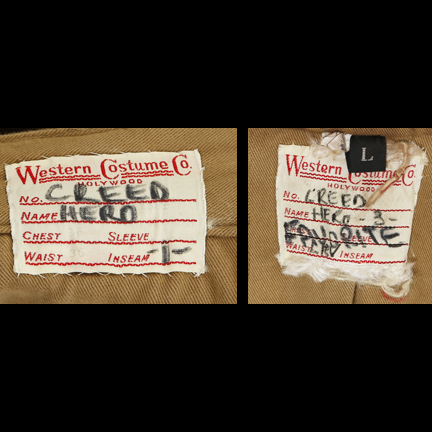 Internal Western Costume label with “Creed Hero -3- Favorite Hero” hand written in black ink over the label. 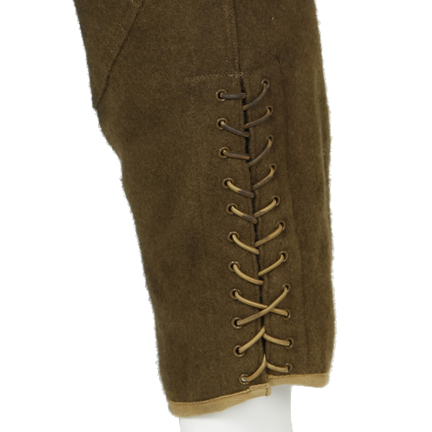 The matching distressed wool breeches have button fly, slash pockets, string tie hem, and webbed belt. 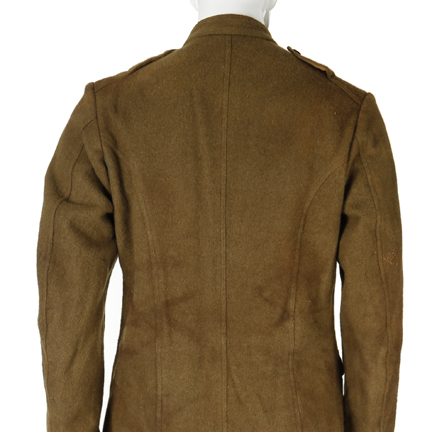 Internal Western Costume label with “Creed Hero -1-“ hand written in black ink over the label. 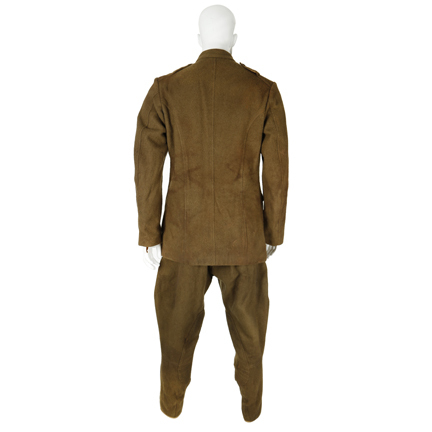 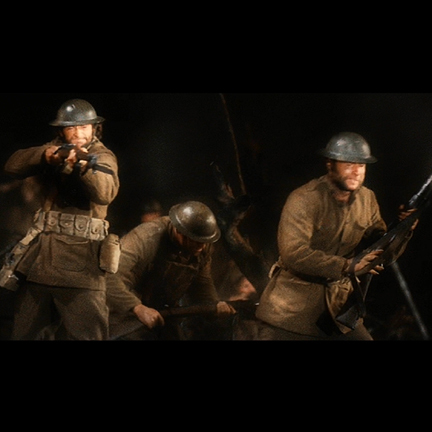 This outfit was worn in the opening sequence of the film when Logan and Creed run through the battlefield, splattered with mud and shrapnel from the mortar charges as he fights enemy soldiers. 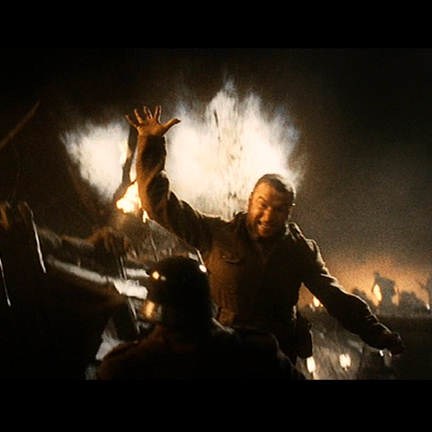 X-MEN ORIGINS: Wolverine is the 4th installment in the XMEN franchise, grossing 179 million domestically U.S and Canada and 373 Million Globally. 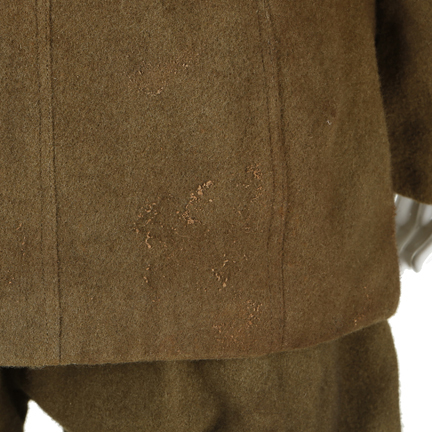 These garments are in distressed screen worn condition and are accompanied by a letter of authenticity from the costume house.